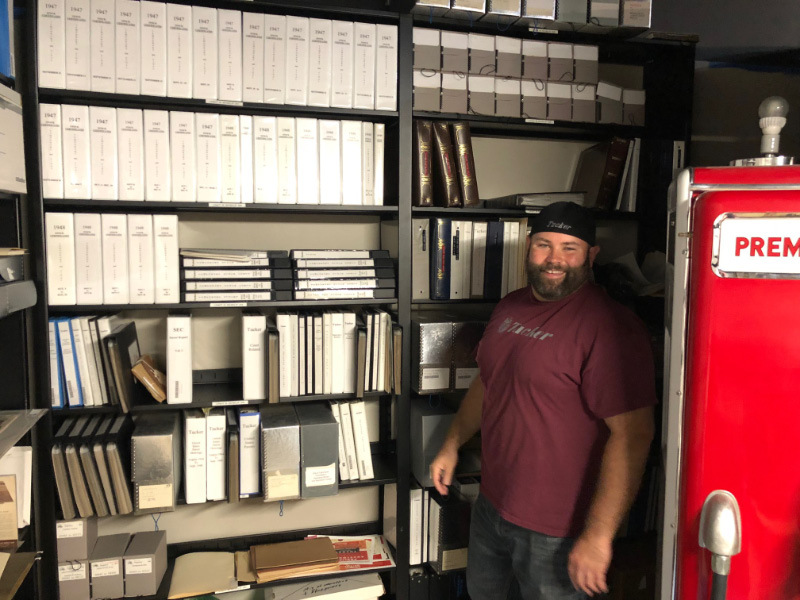 With permission of the AACA Museum, Mike Tucker, John Cuocco and I were able to explore the David Cammack Tucker Archives in Hershey, PA. yesterday. 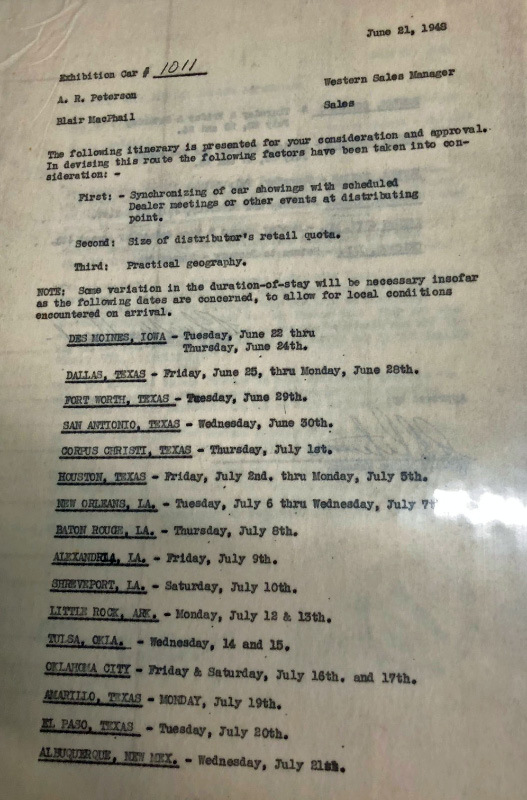 Here are some of the treasures from the Cammack Tucker Archives. 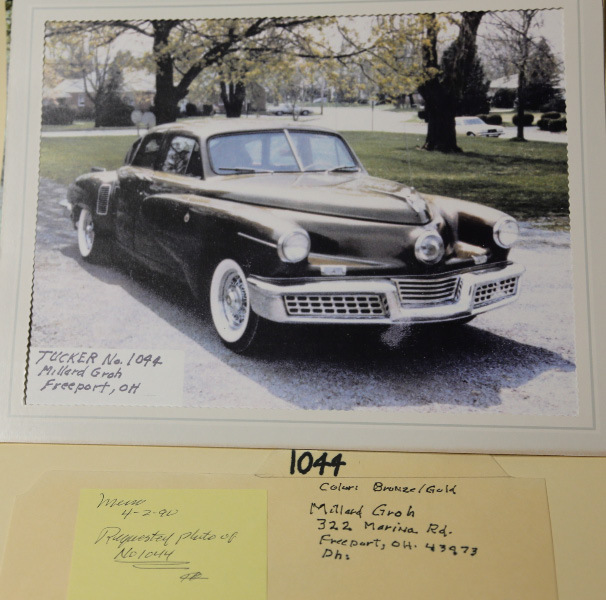 Mike Tucker has spent many hours researching Tuckers and Tucker 1044 in the Cammack archives. Eureka! 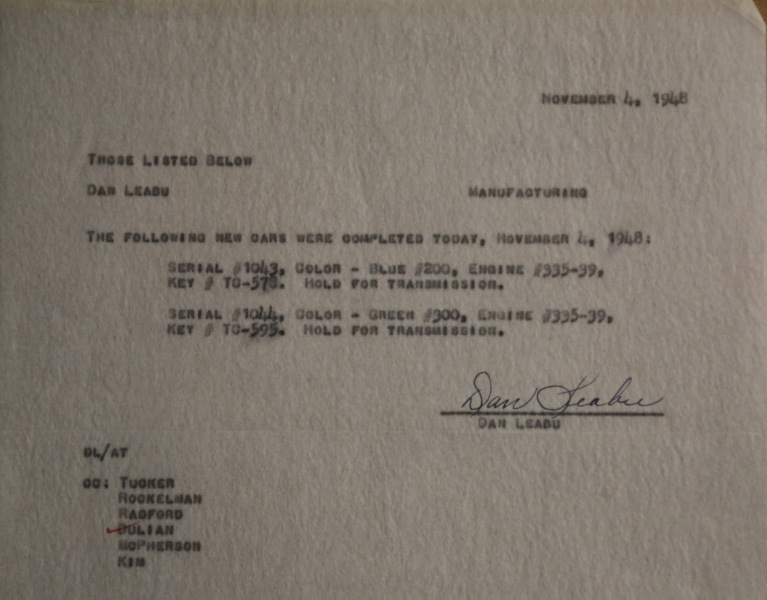 We found the Tucker 1044 birth certificate signed by the Tucker treasurer Dan Leabu. 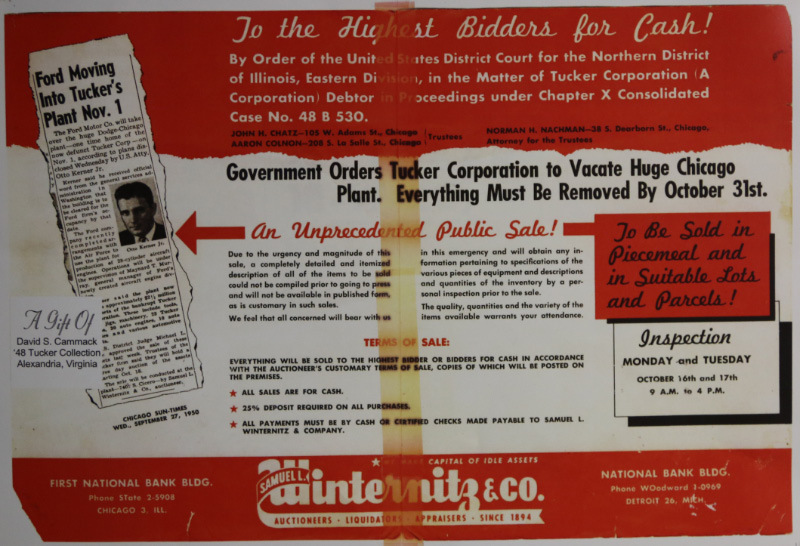 It confirmed that Tucker 1044 was completed on November 4, 1948 after the Tucker factory closed. A photo of Tucker 1044 taken on April 2, 1990 when it was owned by Millard Groh. 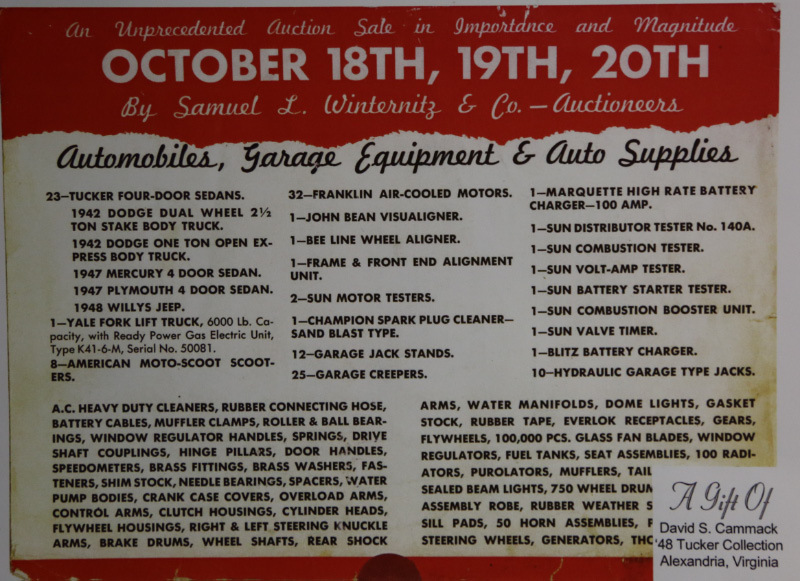 Tucker 1044 was one of the 23 Tuckers sold at the auction. Thanks for all that incredible info. Sheila and I had the pleasure of seeing the Tucker exhibit at the AACA Museum and it’s fascinating. 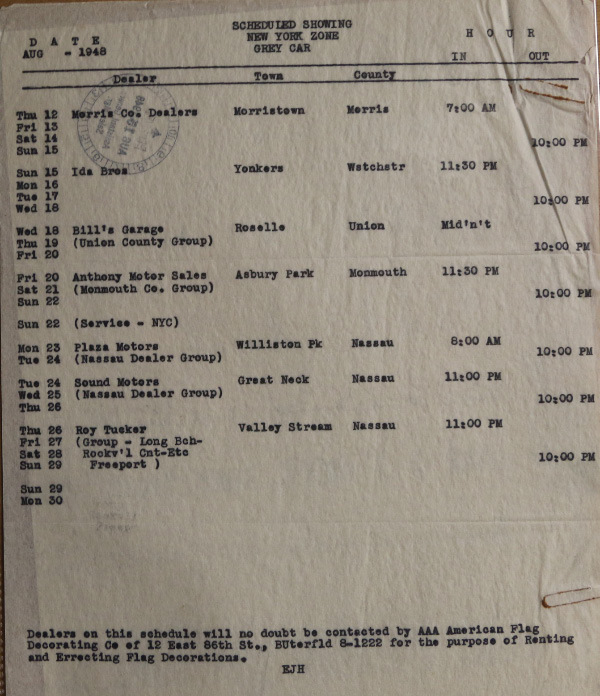 Bonnie and I visited the AAC museum Saturday while attending the Hershey car show. 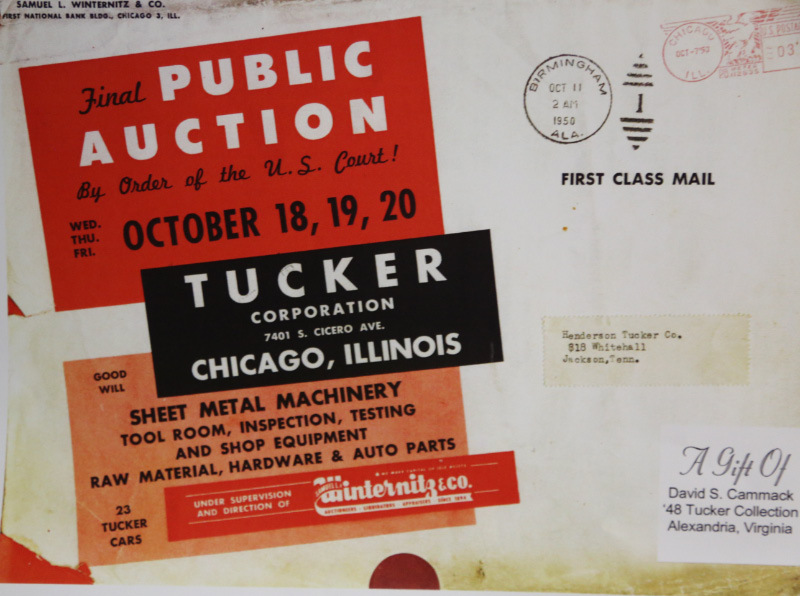 The David Cammack Tucker collection is fascinating. This is a must see for any enthusiast. 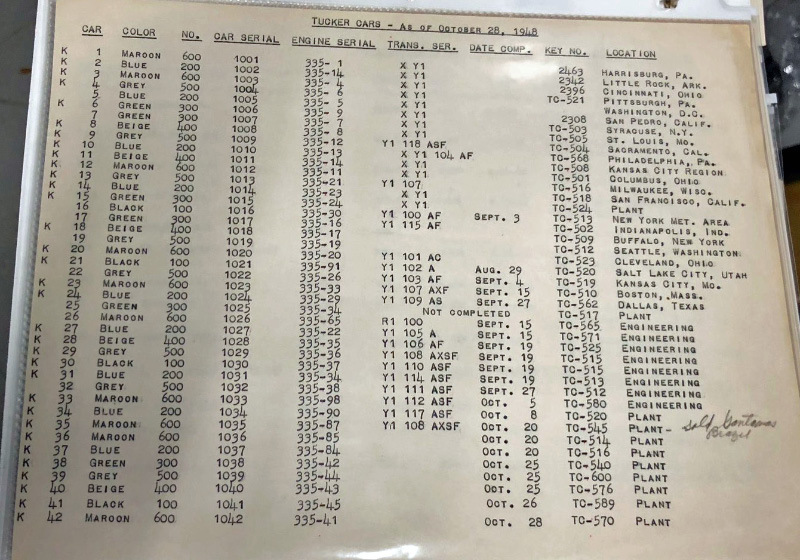 The amount of planning that went into producing the Tucker is well documented through original pictures, drawings, prototype parts and beautiful Tucker automobiles on display. And the tragic take-down of the “car of the future” is also there in the form of court documents and news paper headlines. Disgusting the way Tucker industry was railroaded out of business.